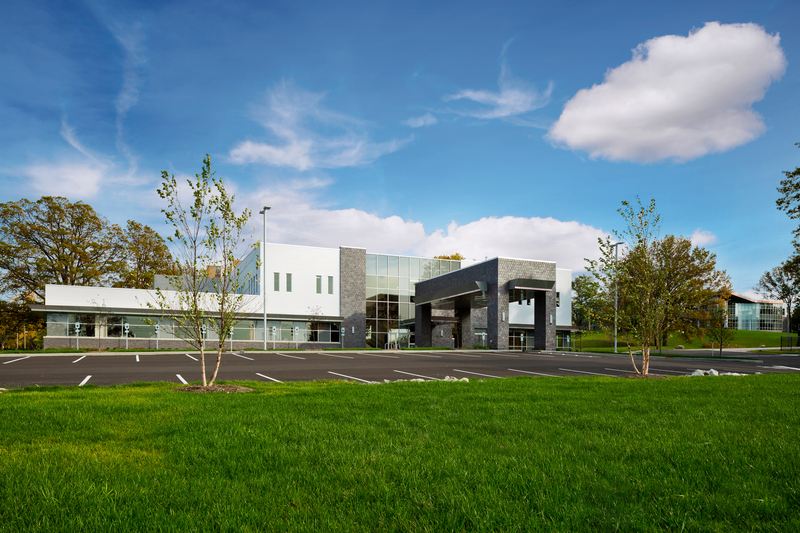 Infinity served as General Contractor for this new two-story, 32,575-sf dialysis facility, the largest operated by Fresenius Medical Care in the United States. The facility operates 24/7 and includes a wing that allows for treatment while patient are asleep in Murphy beds. 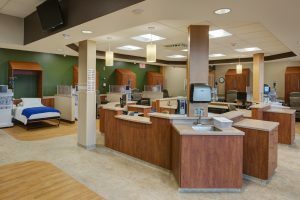 The project features a water filtration system that supplies ultra purified water to the center's 56-hemodialysis stations on the first floor. The stations use heat disinfection instead of chemicals, increasing efficiency and promoting patient safety. The second floor consists of a 12,000-sf state-of-the-art home dialysis training facility. 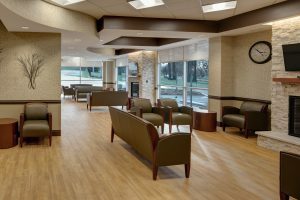 Other amenities at this clinic include expansive windows, a waiting area with a fireplace, an outdoor dining area, a covered drop-off for patients and staff, and a 120-car surface parking lot. Infinity coordinated two contracts to complete this work. The first was for the building exterior with design by a local architect. The second was for the dialysis build-out with design by an architect from Wisconsin. Earthwork revealed unknown underground conditions. We had to re-sequence the schedule to relocate utilities and replace unsuitable soils. We applied for, and secured union target funds allowing carpentry work to complete at the lower prevailing wage rate on this project.